This topic contains 160 replies, has 23 voices, and was last updated by Keric 1 year, 9 months ago. I have three other members of the Southern Stars, my Australian superteam to post – Opal, Wipeout and a fifth mystery member. 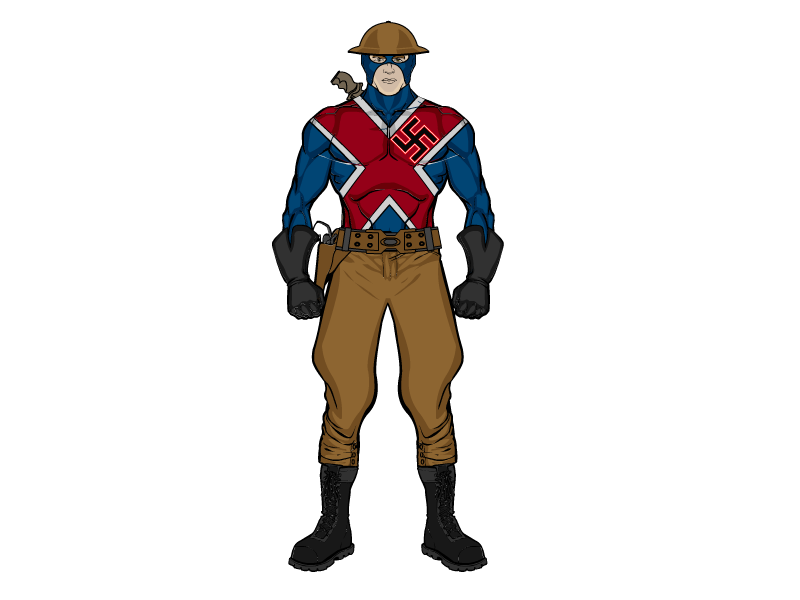 But first I’ll be posting my WWII villains the Axis Elite. I would really appreciate any feedback and/or advice you guys can provide. Just as a little bonus I thought I’d add a villain now. His composure is pretty basic by Machine Standards but I think he still looks OK. I give you The Grin. The grin appears as an indistinct form amid a cloud of smoke, except for the mask and hat along with it’s eyes and fanged, grinning mouth. The Grin can materialise various parts of itself from anywhere within the cloud, usually manifesting its wickedly clawed hands to toy with its victims one light laceration at a time. The Grin seems to feed on the fear and pain it causes, growing more distinct (and solid) the longer it feeds. Bright Light and Strong winds are its main weaknesses though anyone capable of becoming intangible can see and touch its true form. Tommy was late getting home from his night job, wandering the foggy Boston streets alone. Slowly, unnoticed by Tommy, the fog began to rise up into a column that followed him noiselessly. A hazy, indistinct humanoid form could be faintly seen within the column and, when it reached the height of a man a mask and hat suddenly appeared followed by a pair of glowing green eyes and a green, wickedly smiling mouth full of yellowish teeth, fangs really. Tommy froze to a the spot when a hand landed on his shoulder, turning around ready for a fight Tommy froze in terror at the sight before him. 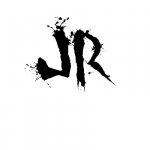 Slowly more clawed hands materialised out of the fog, each slashing at Tommy lightly, almost gently even but, where each clawed hand caressed the young man, deep gouges appeared on his body. The hands continued their work, lightly playing over the terrified Tommy, leaving deep, painful gouges. The more pain and fear Tommy suffered, the more the apparition grinned. The next morning, Tommy’s lifeless body was found laying in the street covered in multiple vicious wounds BUT there was not one drop of blood to be found, on the street or in the body. Those who knew what to look for had their worst fears realised…The Grin had come back to Boston. 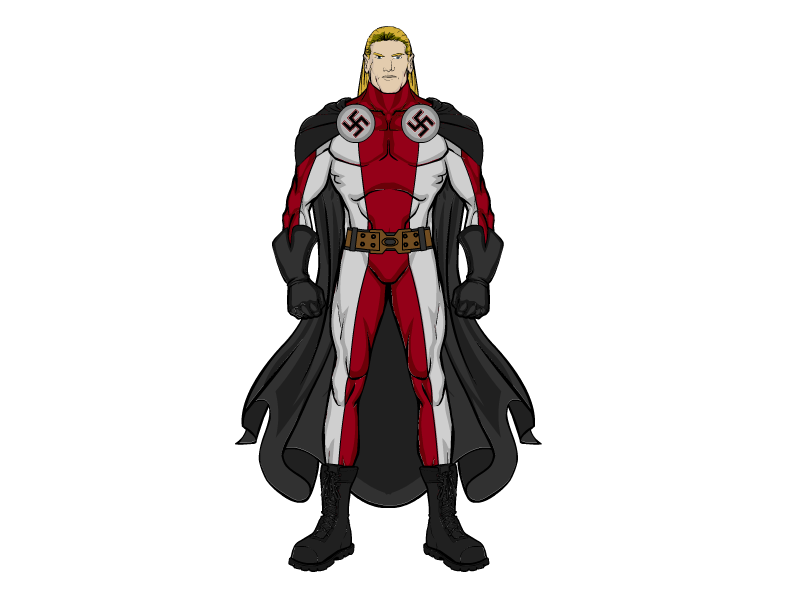 The ultimate Aryan, Superion was the first success for the Nazi Eugenics program, he possesses super strength, invulnerability, and flight. 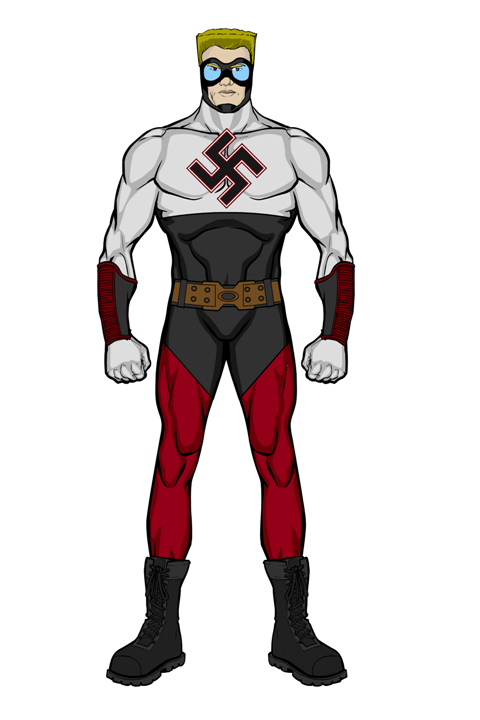 Grown in a lab, he had the mental faculties of a newborn when first ‘hatched’ but underwent a series of mental programming to make him loyal and obedient to the reich. He was named Reinhardt Weiss by one of the scientists. Gertrude von Falcke was a shining example of Prussian and Aryan superiority, she volunteered to be the first test subject for a new serum that had been created to enhance a persons natural strengths. Gertrude survived the process unlike the other 9 subjects. 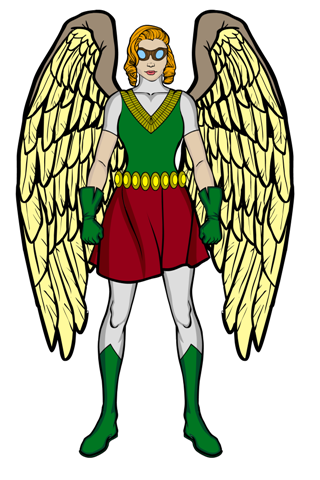 Christened Valkyrie, she has super strength and armoured skin but is prone to give in to bouts of bloodlust in battle. Heinrich Gruber became an ace fighter pilot during the spanish civil war where he served with the Condor Legion. Returning to Germany he was assigned as a test pilot for experimental aircraft. Whilst piloting a new cutting edge fighter, there was a malfunction in the plane’s controls which ended in a fiery crash landing. Heinrich survived due to his skills but was badly disfigured and would never fly again. Needing a test subject foran armoured suit reverse engineered from alien tech that the Nazis had uncovered, the comatose Heinrich was selected. 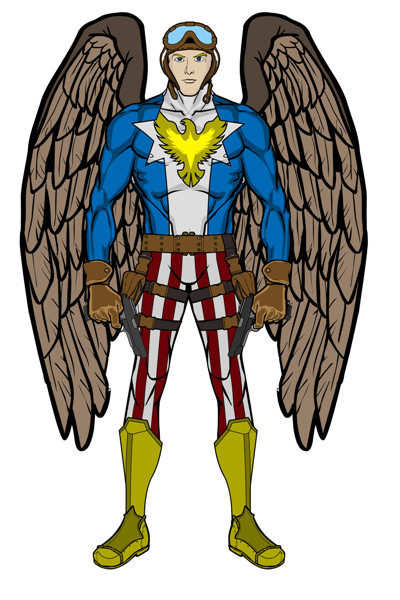 Thus was born the Iron Eagle. Markus Grunwald was a fanatically devout Nazi and party member from the earliest days of the organisation. 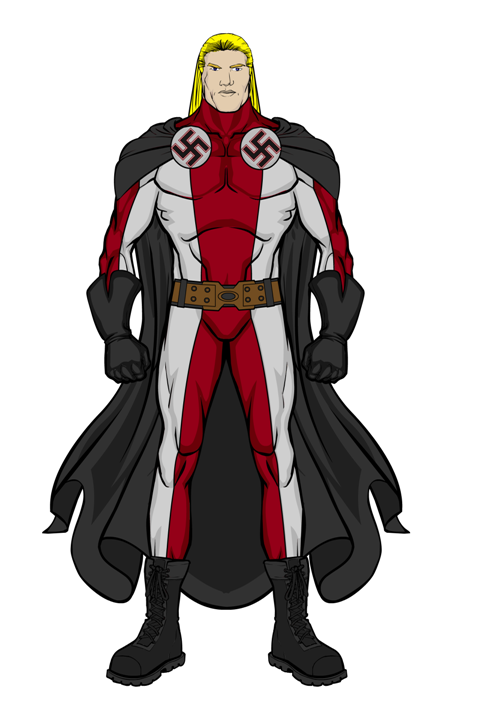 He developed the Purge armour himself in order to be more efficient in cleansing Germany of undesireables. Charlotte Jackson-Heider was the daughter froom the union of an old southern family and even older German nobility. 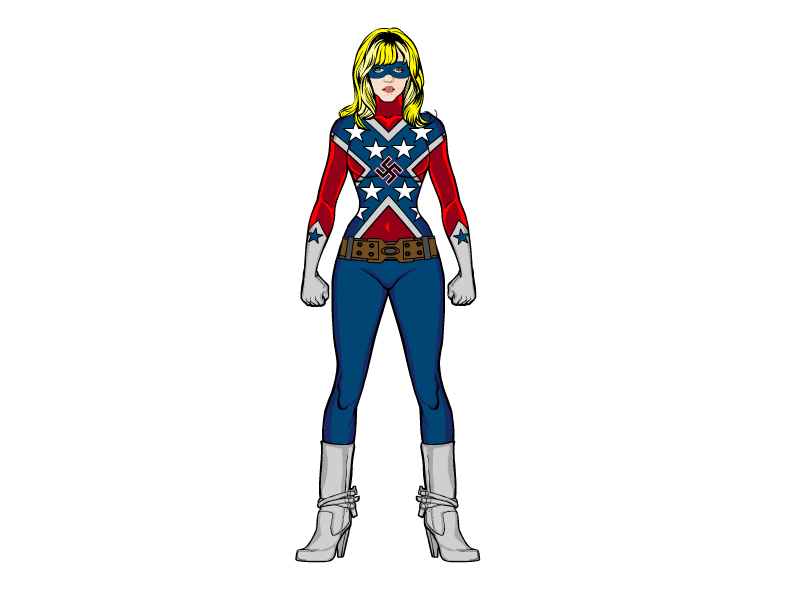 The fact that her maternal family were died in the wool Klansmen and her paternal family were staunch supporters of the Nazi party were a big influence leading her to be strongly sympathetic to the Nazi cause, so much that, when her powers kicked in at 16, she began training in their battlefield usage. When she turned 21 she went to Germany and offered her services. 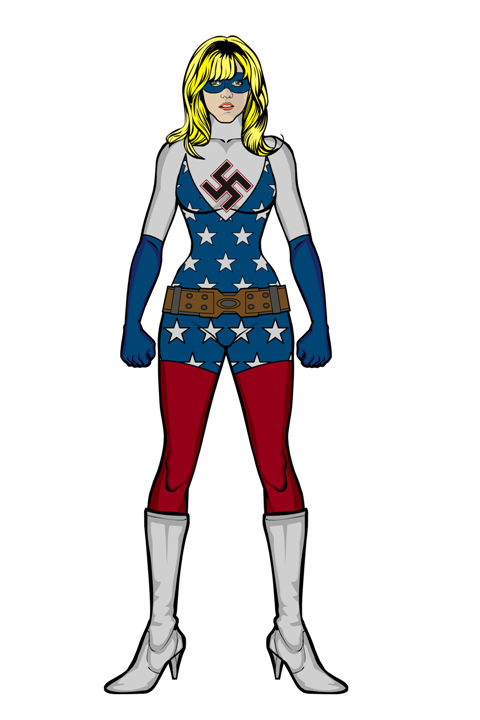 She was immediately made a member of the Axis Elite. Johannes Schultz was one of Germany’s finest swimmers, when he was beaten at the 1938 Olympics he was devastated. In 1939 a strange body washed up on a German beach, scientists studied the body, that of an Atlantean and derived a crude genetic serum from its dna. 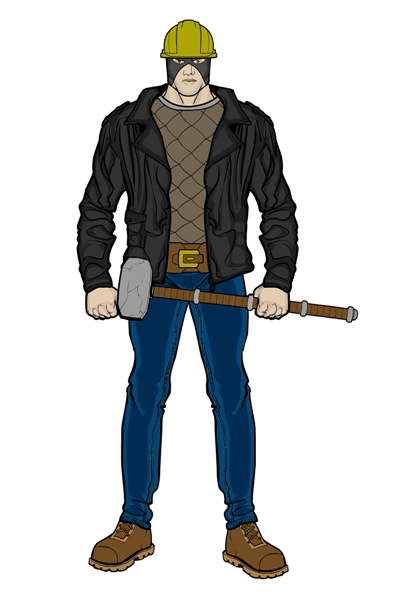 Johannes was chosen as the test subject. Now he can breathe underwater, swim at amazing speeds and dive deeper that any U-Boat. But, he can no longer breathe air and so must wear a special suit and helmet to walk upon land. Adolph Wilhelm Ziegler was always a strong runner and,when injected with a modified version of the serum that created Valkyrie, he became able to move at truly astonishing speeds. Not only that, he could absorb the energy generated by the friction he encountered at high speeds and release it as a devastatingly strong punch, strong enough to pierce the armor of a tank. Doing so exhausted him, often causing him to pass out. 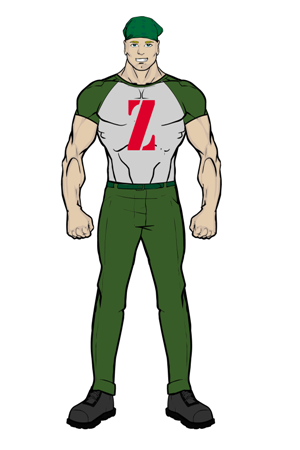 A regulator was built into his costume so to warn him when he reached dangerous levels of absorbed energy and needed to expel it safely. Thus was born the Master Race. Ancillary members Phalanx (Italy), Hotspur (England) and Triomphe (France) will follow soon. Along with the scientist responsible for most of the team, referred to as the Weaponeer. These are good. Can’t quite believe you’re new to this. I like the Pazurians – you’ve somehow got a really bat-like face on them, too; you seem to be picking up HeroMachine lateral thinking fast, faster than me, I think. Maybe I’ll get there. Superion’s hair looks weird somehow, like it’s made of plastic. I don’t know, maybe it’s the flat colour or it’s too symmetrical. I can see how it might be tricky to make him look “perfect” enough without him looking fake, though, and you’ve nailed it on the rest of the picture. And Captain Wonder isn’t actually wearing a ring on either picture, if it matters. Those are the only two possible tips I can think of among the whole lot! Thanks for the kind words guys. 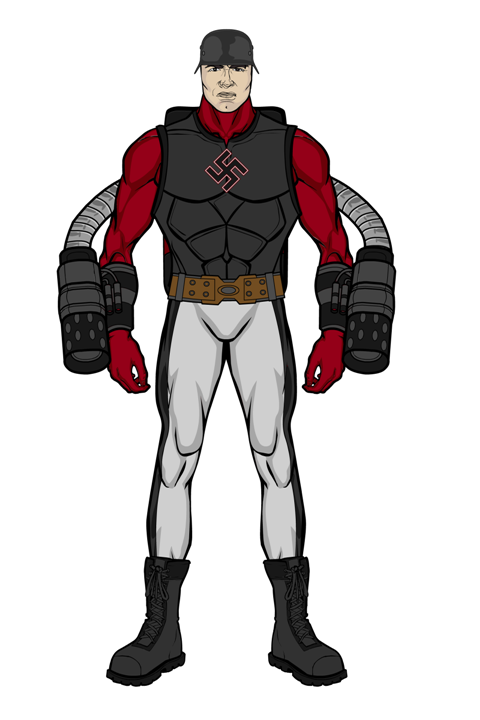 Redback turned out better than I had hoped, originally had Spider-Man style eyes but when I saw the more spidery ones I knew I had found the element he was missing. As to the Nazis, thanks they were the first guys I machined, before that they were just names & short backgrounds with no ‘look’. I’m not 100& happy with Southern Belle or SeaLion and may redo them at some point. As to Superion, yeah I couldn’t quite pick why the hair looked wrong either. Your post made me have a second look and it clicked – I had forgotten his ears (noob move there). Anyway, below is the corrected Superion. 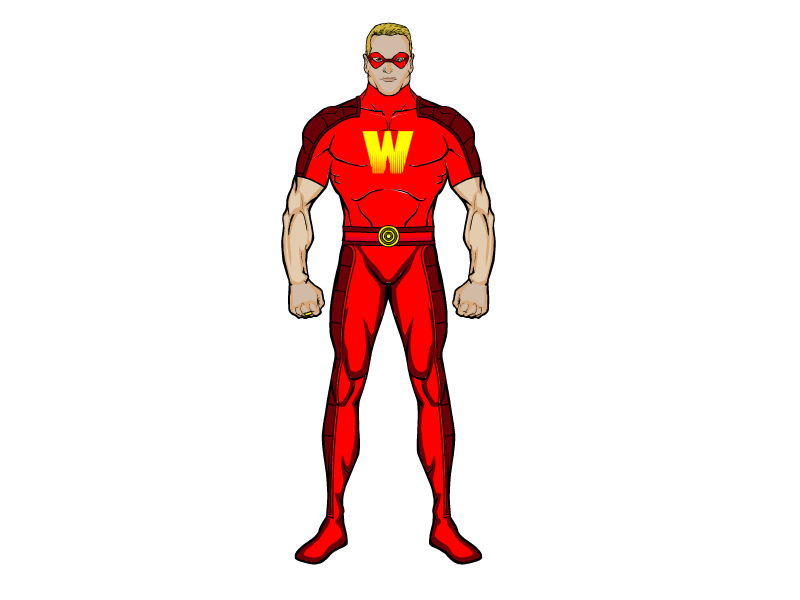 As for Captain Wonder’s ring, I just didn’t think to include it but, here he is with ring proudly in place. And here are the Auxilliary members of the Axis Elite. Most are sympathisers who have sided with the Nazis rather than their own countries. 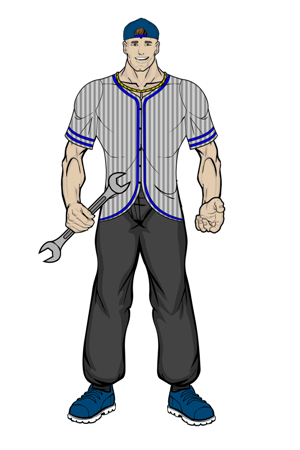 Giancarlo Fermi has the ability to manifest copies of himself which he believes comes from the spirits of his Roman ancestors, manifesting through himself to restore the Empire to glory. Mimette Delacroix grew up in the Rhineland region of France claimed from Germany after WWI. The family took on a french name but were still proud Germans at heart. 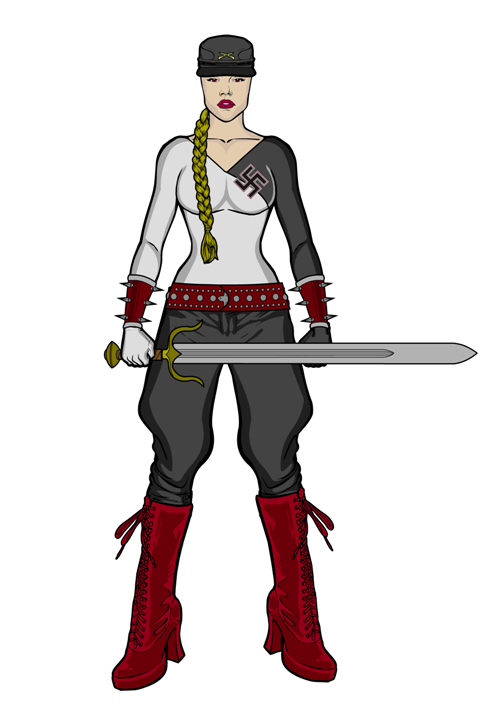 Descended from Teutonic Knights, Mimette was schooled in the art of fencing, a skill she put to good use on behalf of Germany. Like many of his fellow cossacks, Ivan Mikhail Dragunov saw the German invasion of Russia as salvation for his people from the savage pogroms of the Bolsheviks. Volunteering to fight on behalf of the Germans, he was assigned to the Axis Elite once his abilities became known. Lord Algernon Forsythe Chuggsworth was one of the founders of the BUF (British Union of Fascists) fearing a red uprising amongst the working class. When the party was officially outlawed, he fled to Germany to continue the fight until his fellow lords realised their error. 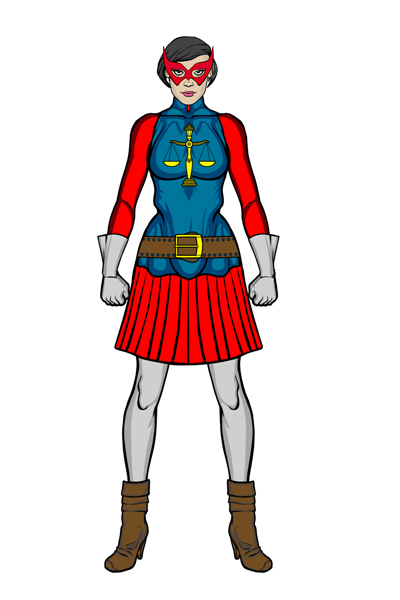 As an added bonus, now that I have a better understanding of HM3 I have updated Southern Belle’s costume to better reflect my original design for her. Ummm, you do know that Italy was both a Facist state and on the side of Nazi Germany during the second world war, thus rendering Phalanx’s place on this team and not the main team questionable. 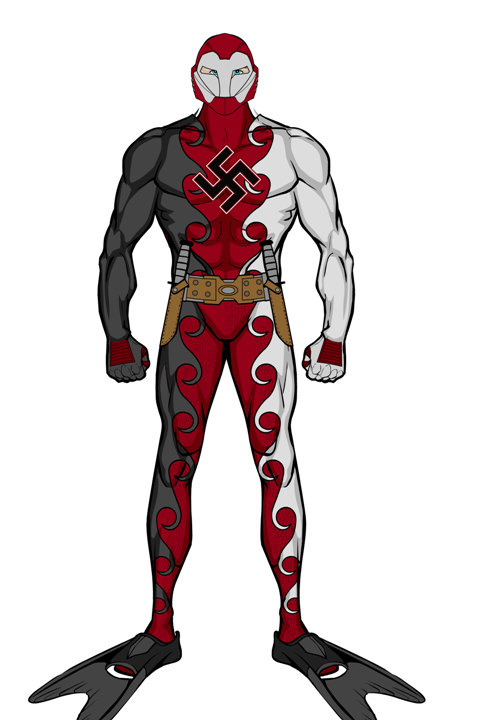 Or at least on a team made up of villains from all three of the Axis Powers. Also, and this is a personal gripe, but could you not have thought of a better real name for Hotspur? Algernon and Forsythe are fine, both fairly posh rarely used names (although really Forsythe is more of a surname), but Chugglesworth? Really? That is actually pretty poor for just coming up with a randomly posh stupid English name (and this is coming from someone who has a stupid English surname). Couldn’t you have at least found an existing uncommon surname that at least sound plausible. Chugglesworth just sounds like you were lazily playing to stereotypes. 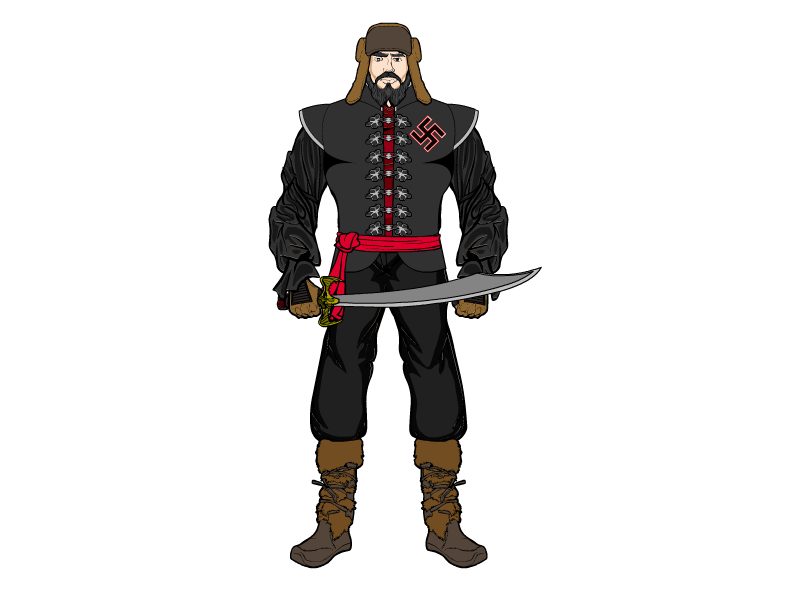 Anyway, sorry for the rant, not a bad group, some pretty solid designs, Black Cossack in particular looks very strong. I put Phalanx in with the Auxiliaries because he didn’t join the team until Italy officially entered the war in 1940 and, like Italy he switched sides and became a co-belligerent (He was never a fascist himself, just loyal to his country and the dream of a restored Roman Empire). I called these guys Auxiliaries because none of them were permanent members of the team (unlike Southern Belle). As to Hotspur’s alter ego, he was named so as a nod to a friend of mine who is English. Chugglesworth was the surname of his character in our M&M campaign and he assured me it was a real name. Chugglesworth just sounded like a golden age villain name (given silly names to point out they are the baddies). I am quite happy to change it though. The Japanese have their own team of enhanced operatives called the Imperial Elite and who operate exclusively in the Pacific Theater. For a bit of a change of pace, we now visit the small West African nation of Ruganda. 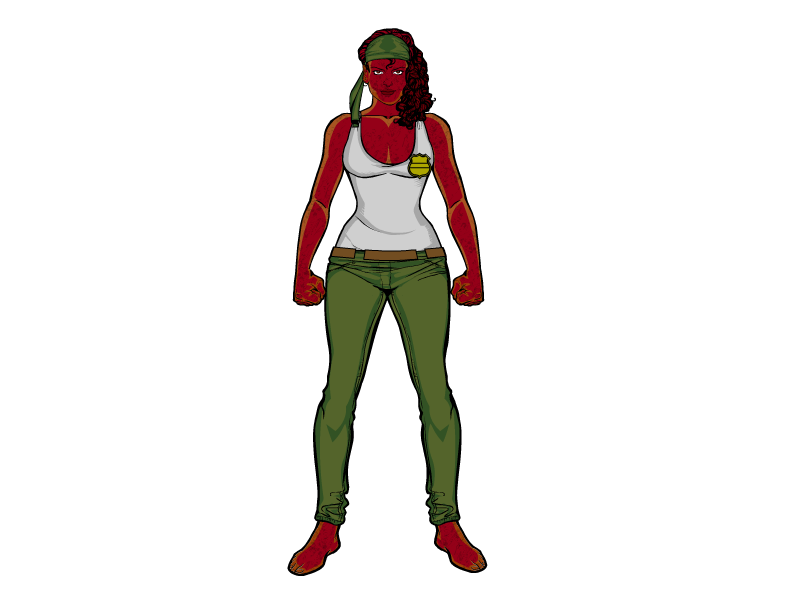 Ruled with an iron fist by General Kadeem, Ruganda is a safe haven for criminals, mercenaries and even super villains. The Rugandan Presidential Guard are equipped with a lightweight, micro-weave armour and high tech communications/sensor array headsets that the General has acquired from past ‘guests’, whilst their other equipment is on par with the regular military. Kadeem hopes to continue to improve the equpment available to both his Guard and the regular army. 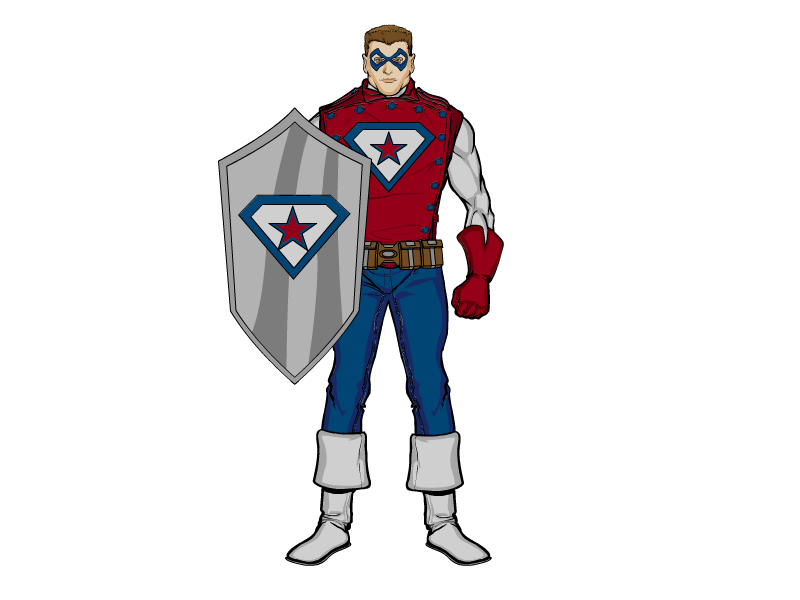 It is also believed that General Kadeem has initiated a program to develop his own super soldiers, through technolocigal, biological and even mystical means. I will eventually post all of the GoL individually with a proper bio for each. 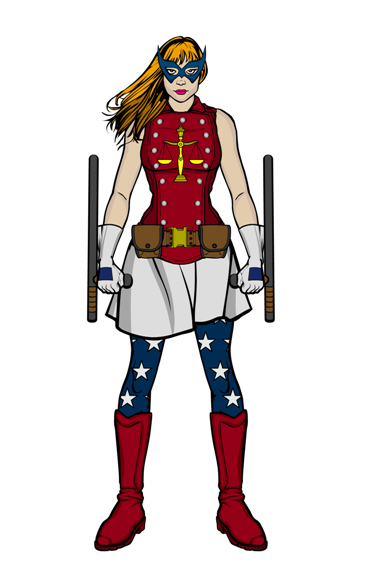 Powers/Special Skills: Mass Mind Control, limited Telepathy & Telekinesis. 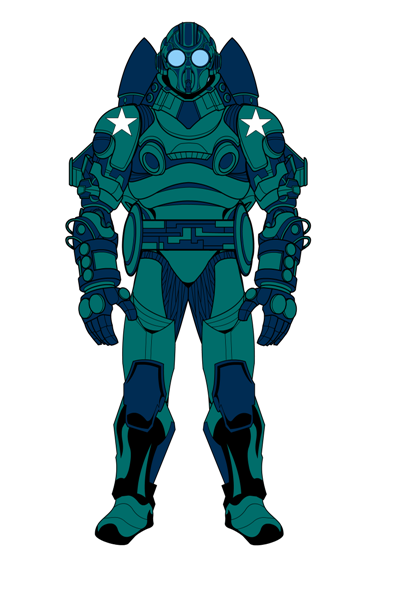 Special Weapons/Tools/Armor: Circuitry in armor/helmet enhance range and strength of his powers. 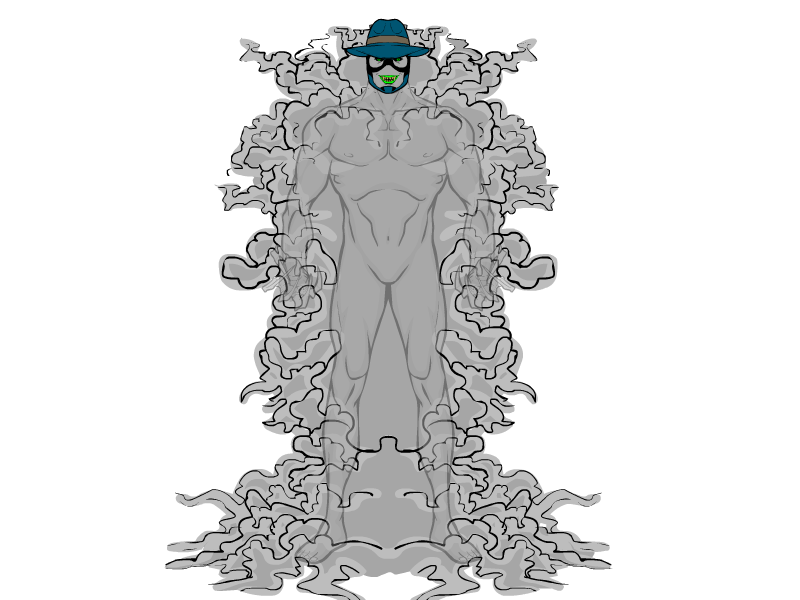 Sovereign is an enigma, he has the ability to mind control thousands of people at once but with a limited range (boosted by his helmet/armor). He is ruthless when dealing with those who oppose his will, especially those he is unable to control, but seems to truly care for his subjects. Under his ‘rule’ there is no poverty, no homeless and no crime, but there is also no free will, creativity or individuality. Those under his power are like worker drones in an ant hive, slaved to the group mind. 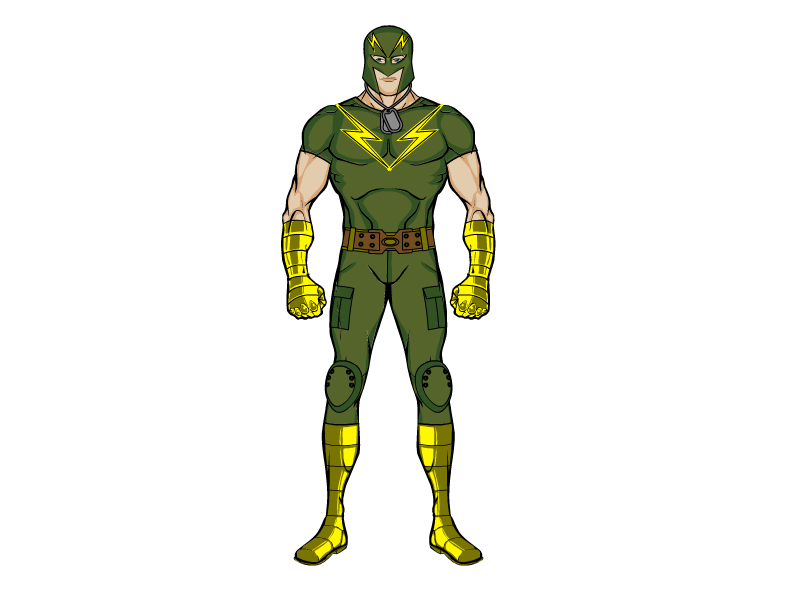 Who Sovereign truly is and how he gained his powers are unknown as he has avoided capture time and time again (usually by having a dupe on hand to take the fall). 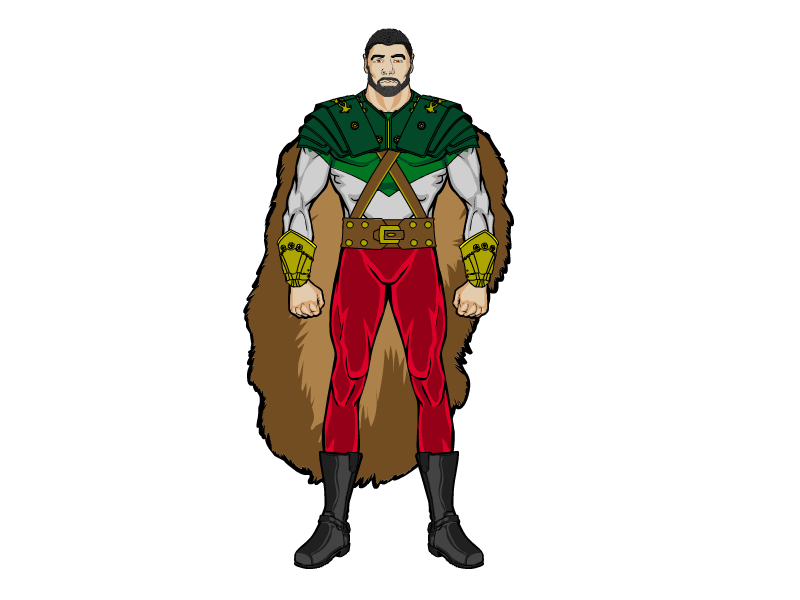 He was last seen battling the Guardians of Justice in the small Central American nation of Costa Verdana which he had taken over as his latest realm. 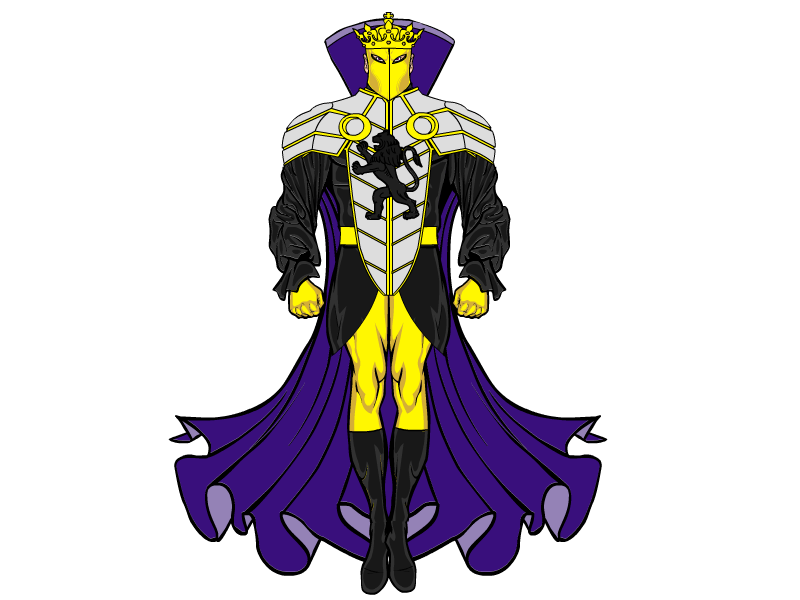 Sovereign is one of the Big Three villains in the Alterniverse along with The Overlord (a Dr Doom style character) and Thanatos . Context. If you put him in a throne room or on a building or bodies or something behind him, he’ll look like a lot more. Secondary context would be making his pose slightly uneven, like he has a stronger or tired arm, or an offset stance. 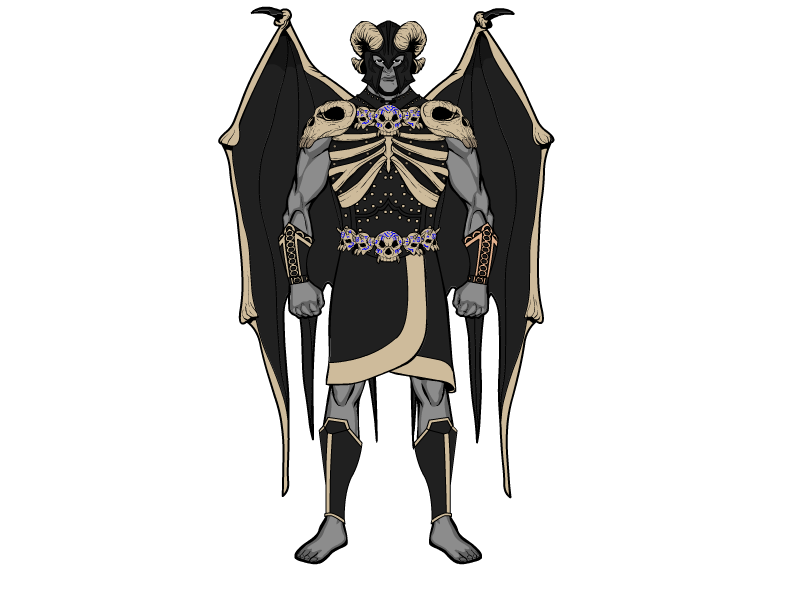 And to complete the Big 3 villains here is Thanatos also still a wip.